Just because you or a loved one (or a holiday guest) keeps a gluten-free diet doesn't mean you can't serve traditional Thanksgiving dishes. Many recipes are naturally gluten-free, like mashed potatoes and roasted vegetables, and others can easily be altered to accommodate a gluten-free diet. Make some necessary tweaks to family classics or discover some new recipes to try this year. Of course, the turkey itself is gluten-free, but if you buy a bird that has been brined or flavored in any way, you need to make sure to read the label. 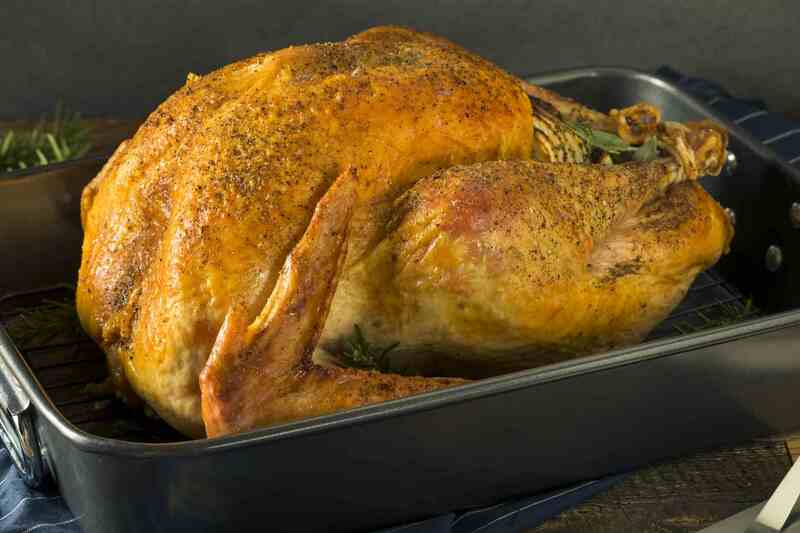 Some brands' basting solution that is injected into the turkey during processing may contain gluten. 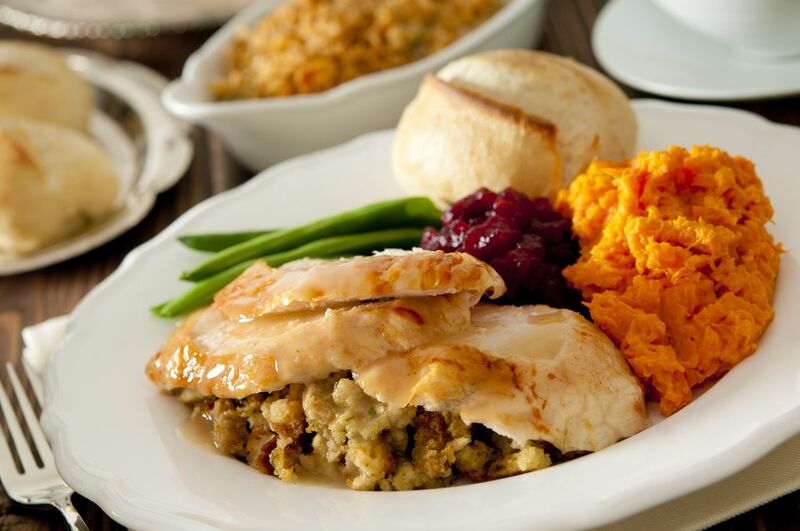 There are several brands of turkey products that are gluten-free according to the manufacturer and are available at most major grocery chains. Never buy a stuffed turkey and never use the gravy packets that come with some brands. Unless otherwise noted, they contain gluten! As stuffing's main ingredient is bread, this dish is not safe for a gluten-free diet. However, it is simple to replace regular bread with your favorite loaf of gluten-free in any dressing recipe, like in gluten-free cornbread dressing. Or, make a gluten-free bread and/or cornbread ahead of the holiday and freeze; then you'll have two fewer things to do when the rush to prepare your Thanksgiving dinner begins. A gluten-free walnut rosemary bread would be delicious in almost any stuffing recipe, such as gluten-free herbal bread dressing, as it will add a lot of extra flavor and texture. Sweet, mashed, roasted—is there a Thanksgiving meal that doesn't include one or two perennial family favorite potato dishes? Probably not, so thank goodness potatoes are naturally gluten-free! Just be sure you are not adding any flour, breadcrumbs, and certain brands of marshmallows to the dish, and you should be in the clear. Almost any recipe for mashed potatoes will be gluten-free, as will roasted potatoes with herbs. Or simply swap out an ingredient or two; gluten-free scalloped potatoes replace wheat flour as its thickener with a rice flour. Most sweet potato recipes will also be gluten-free, except when it comes to casseroles; some recipes contain flour and certain brands of marshmallows are also not gluten-free. A good choice is a crockpot sweet potato casserole with apples. And we all know a good, thick gravy gets its consistency from flour, but there are ingredients you can substitute to achieve the same texture. A gluten-free turkey gravy uses sweet rice flour along with the turkey drippings to create a thick and delicious gravy. Every family has its own traditional dishes for Thanksgiving, but there's always room for inspiration (and to assure there are enough gluten-free choices). Add a bowl of wild rice with mushrooms to the buffet alongside a simple platter of roasted carrots. A dish of roasted Brussels sprouts, butternut squash, and cranberries is a great way to bring together the flavors of the season in a delicious side dish. From the most basic, like a fresh cranberry sauce, to a more interesting, such as spiced cranberry sauce with apple and orange, cranberry sauce is usually a no-brainer when it comes to cooking gluten-free. Dessert may be the toughest course to make gluten-free, from pie crust to cookies to cakes. Luckily, there are gluten-free versions of Thanksgiving classics like pumpkin pie, pecan pie, and apple pie, all thanks to a gluten-free pie crust. You can even make a gluten-free bread pudding with apples and brandy sauce or your favorite cheesecake using a gluten-free graham cracker crust.